How Did Google's Medic Update Affect My Website? How Did Google’s Medic Update Affect My Website? Google released their 3rd update for their algorithm of this year on August 1st, 2018. Many tech heads are considering it one of the most comprehensive and biggest updates since 2012’s penguin. This update is being referred to as “The Medic Core Algorithm Update”. This update is particularly interesting to watch as the changed algorithm will have an impact on both map listing and organic search results. This raises an extremely important question in everyone’s mind: How Did Google’s Medic Update Affect My Website? 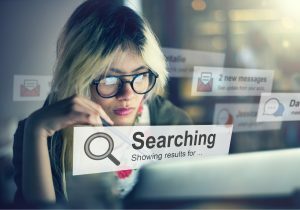 SEO and keyword research may have evolved due to this new update; however, it is important to understand that they are not obsolete. With the rise of voice search, most searches are based on common questions and phrases. Therefore, SEO tools like Google Keyword Planner and SEMrush are still relevant and useful for keyword marketing strategy. Under the mobile-first indexing algorithm, Google will use the mobile version of your website for indexing and ranking your website, which will provide better user experience to mobile visitors. Any website that does not have a responsive mobile version and mobile-friendly content will not be able to perform well under the new medic update. Therefore, website owners must ensure that the mobile-version of their site contains a clean user interface with no pop-ups, fast loading and relevant content. Quality of content can have a significant impact on the ranking of your website in Google’s search engine. Earlier, Google published comprehensive guidelines which may be used to increase the quality, authority, and credibility of your content, which will translate into better search engine ranking. Moreover, referencing to reputable sources to back up facts or statements in the content may also enhance its value and appeal. Loading time and site speed have always played a critical role in Google’s ranking criteria. This new medic update has made it more important than ever to optimize your website for maximum speed and quick loading time. This can be accomplished by high-quality programming, browser caching, and using compressed images. The main objective of Google’s medic update seems to be providing better web browsing experience to users using different electronic devices while mainly focusing upon smartphones. Moreover, it may make web content more reliable and authoritative. However, it may be problematic for website owners to maintain their search engine ranking if they do not take adequate steps to comply with new requirements of Google’s medic update. Legal websites are not an exception to this update. Therefore, if you have a legal website and are worried about its SEO and ranking, it can be highly beneficial for you to find a reputable marketing company which can provide effective digital marketing solutions for you. If you want to know more about effective marketing solutions or have any questions regarding Google’s new update to your law firm’s website, it is recommended for you to contact FORWARD marketing at (888) 590-9687.